As I gathered my supplies for this months color challenge, I knew I wanted to use green, pink and blue for sure because those colors definitely stood out in the photo of the sweet little birthday cake. I also wanted to use some sort of a stripe, a little bit of gold and something similar to that beautiful lacey looking cake plate. Add those all together, and here's what I came up with! I used the Surprise Paper Ribbons for my green, pink and blue stripes and a doily I cut on my Silhouette that's similar to the fancy cake plate. I wanted little bits of gold on my layout too, like the centers of the fondant flowers on the cake, but I didn't have any little gold pearls, so I had to get creative!! I started with plain white pearls, and by adding a touch of gold from a paint pen and a layer of gold Stickles, I had my own custom gold pearls! 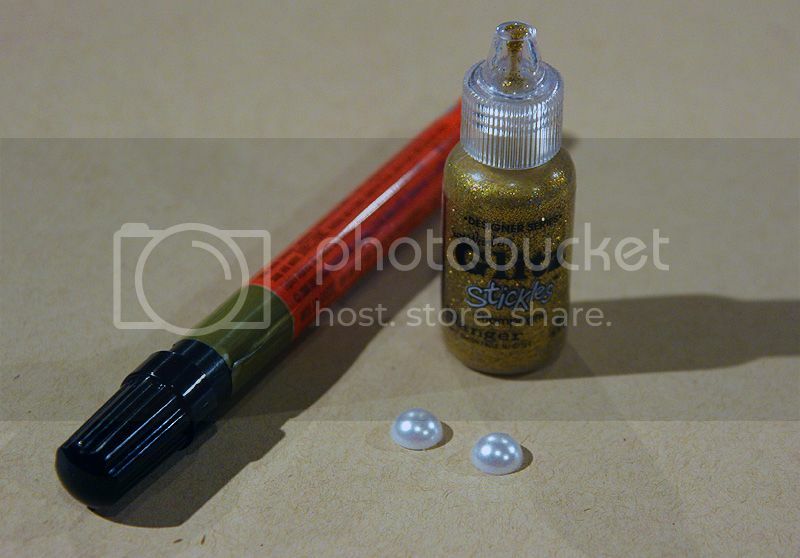 Here are the pearls with the first layer from the gold paint pen. They look pretty just like this! And here they are with the gold Stickles, bright and glittery! It took about 30 minutes for the Stickles to dry before I could add them to my layout. I love the look of just that little touch of gold! Just think of all the custom colors you could make to match your layouts and cards! I love it!!!!!!! Very sweet and fun. Love those dots too. So fun! I just love the little glitter dots you created. Great idea with the gold pearls - I'll have to try that myself. And the layout is adorable! Beautiful LO! Thanks for showing how to make the gold dots. Love your take on the color challenge and how you dressed up those pearls is fabulous!!! Wonderful transition from the photo to the page. 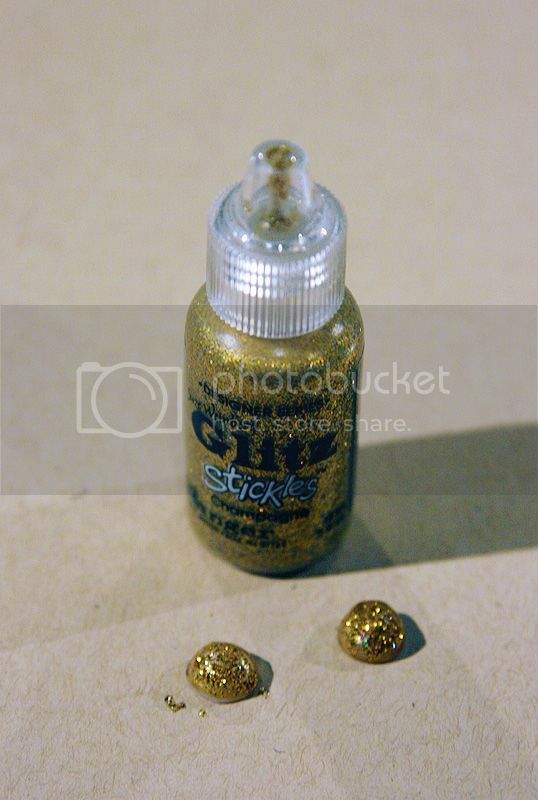 Love your idea for the gold dots. Very cute layout, terrific idea on the stickles. I never thought to use a paint pen/marker to color the pearls...I'm learning all sorts of great tricks tonight catching up on blogs!